U21 Championship. 10th round. October 1, 2016. Shchaslyve. Knyazha Arena stadium. Att: 250. 25 oC. In nine meetings, the Pitmen scored 22 points sitting in the second spot in the table, being one point adrift of the leaders. 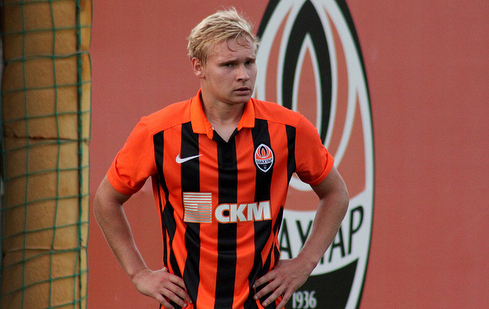 In their last match, the team of Valeriy Kryventsov thrashed Volyn (6-0). Zorya are in fifth place in the league with 13 points. A week earlier, the Luhansk side beat Vorskla (3-1). In Shakhtar’s starting line-up, compared with the previous game, there have been several changes. In central defence, reunited the pairing Taras Kacharaba – Danylo Sahutkin, with Mykola Matviienko appearing at left-back. The injured Oleksandr Pkihalyonok still cannot help the team, being replaced by Vyacheslav Tankovskyi, with whom Danylo Ihnatenko and Oleksandr Mihunov used to play in midfield. 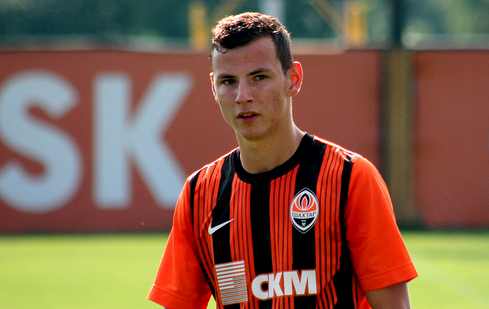 Mykyta Adamenko and Giorgi Arabidze went to the wings, with Oleksandr Zubkov performing the role of central striker. The first half of the match featured even competition mainly in midfield. At the same time, dangerous situations were not so numerous. In the opening stages, Adamenko checked the keeper’s reflexes with his long-range shot only to see his attempt go wide. The visitors responded with a dangerous connection by Shershen, who was sending a header, but the ball went over the target. The Pitmen tried different attacking options, but Zorya defended competently and orderly. The Orange-and-Blacks managed to score five minutes away from half-time: Vyacheslav Tankovskyi got on the end of Matviienko’s cross to fire it home and make it 1-0. After the break, Shakhtar raised their speed and started playing on top, which immediately reflected on the number of scoring chances near Ovsiannyk’s goal. So, Zubkov’s shot was blocked by the defenders, and Kacharaba’s attempt was not powerful enough, so it was palmed by the keeper. Mihunov suddenly shot from some thirty metres – just near the far post. Arabidze landed a few long-rangers in his signature style, but the Georgian failed to score. Shakhtar’s set play also caused tension in the opposition penalty box. Closer to the final whistle, the Pitmen had increasingly more space for counterattacking, and one of them became effective. Vyacheslav Tankovskyi pressed the defenders, dispossessed them and fed Roman Yalovenko, who sealed the win. 2-0 - Shakhtar defeated Zorya, continuing the title race. The team of Valeriy Kryventsov will play their next game away on October 14 against Olimpik. - Today it was very difficult to win. From the off, the opponents dropped deep, sealing off every space and trying to catch us on the counter. But at the same time, we fully controlled the game and did not allow them to create many chances. In the first half, not everything worked offensively, but we managed to score a goal, and it has given us composure and confidence. At half-time, the coaches told us what we did wrongly, with the team playing the second half even better than the first one. The game was easier, there were more chances, eventually winning it. I am glad I helped the guys, I scored a goal and produced an assist. The team are in great form, we feel confident and huge desire to win. Our goal is becoming the champions this season. And to do so, we need to win every game. - The match was tough. It was an interesting, combative meeting. I’s good that we managed to score in the first half. After that, the opponents had to reduce the deficit. They charged forward, with open spaces appearing, which we took advantage of in the dying minutes. In the episode with the goal, Tankovskyi was fighting for the ball very well. I ran towards him and asked him for a pass, he rolled it handily to me and I flicked it into the near corner. Before taking the field, the coach told me to work intensively, to give my all. I am happy that I managed to net one. I hope to continue in the same vein. Most importantly, we have claimed the crucial three points today.